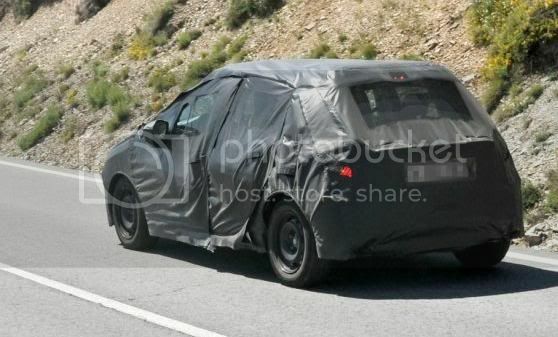 Peugeot's upcoming 207 replacement has been spied undergoing hot-weather testing in Southern Spain, ahead of its launch in Summer 2012. 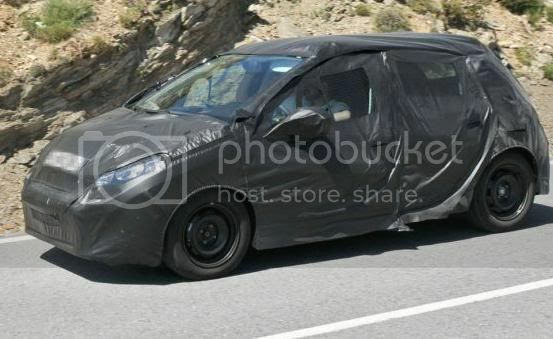 Caught here wearing thick plastic camouflage, it's believed the 208 will spearhead Peugeot's new design language, taking design inspiration from both the SR1 and HR1 concept vehicles, thus lending the newcomer a clean, elegant look. The interior of the 208 will focus primarily on simple style and higher-quality materials than the 207. Unlike the popular 207, the 208 will be smaller, lower, lighter and substantially more fuel-efficient than its predecessor, with engineers expected to shave-off around 100kg off the kerb-weight. Insiders have confirmed that power will come from a pair of 3-cylinder, 1.0 litre and 1.2 litre petrol engines, alongside a series a turbocharged petrol and diesel engines. Although a stop/start system hasn't been approved for the former powertrains, expect CO2 emissions of less than 100g/km. Aside from the regular three door and five door variants, there will be a performance-orientated 208 GTI that may utilise the turbocharged 197bhp (194PS/147kW) 1.6 THP unit from the RCZ sports coupé. A warm-hatch GT model will be offered in both three door & five door and will be targeted at younger drivers. The future of the 208 family will expand to a convertible, a bespoke coupé variant, a sub-compact SUV, and a sports wagon. Expect to see the 208 premier at a popular forthcoming European motor show. 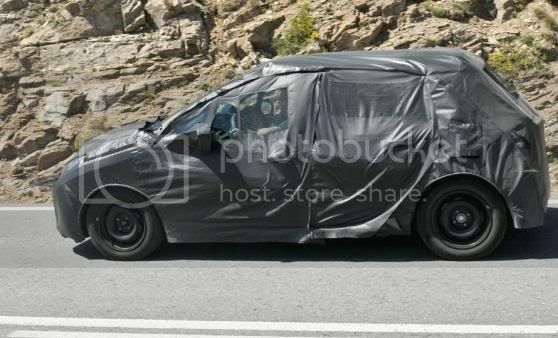 In related news, Peugeot will offer an all-wheel-drive variant of the new 508. This comes as customers are moving away from large SUV's and into smaller, more fuel-friendly vehicles. 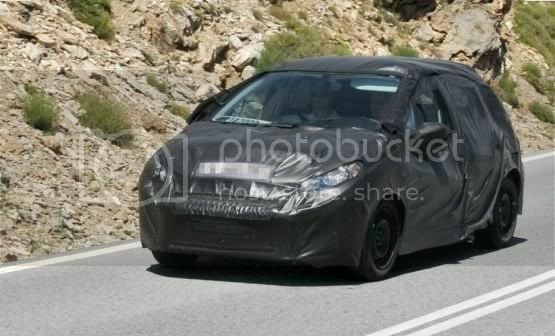 Using the same diesel-electric hybrid drivetrain as the 3008 HYbrid4, sales will start in Spring 2012. Initially, the 508 SW will arrive with increased ride height, under-body protection, and additional body-cladding, while a sedan variant follows at a later date. Three modes will be offered; Automatic, Sports, and Zero Emissions, that allows the vehicle to travel on electricity at low speed. The 508 Hybrid4 won't come cheap, as we expect prices to start from £30,000 when it takes on the Volkswagen CrossPassat and Skoda Superb Scout. For comparison, the 3008 HYbrid starts from £26,600.